Bourama Sidibe is a center for the Syracuse Orange basketball team. Sidibe would start his freshman season splitting time at the center position with junior Paschal Chukwu. He displayed flashes of atheltic defensive capabilities as well as a strong offensive presence near the basket. Unfortunately he would hurt his ankle in early December, and then develop tendinitis in his knee. These two injuries would hamper the rest of his season, forcing him to miss games, have reduced minutes in the games he did play, and reduced his overall mobility. 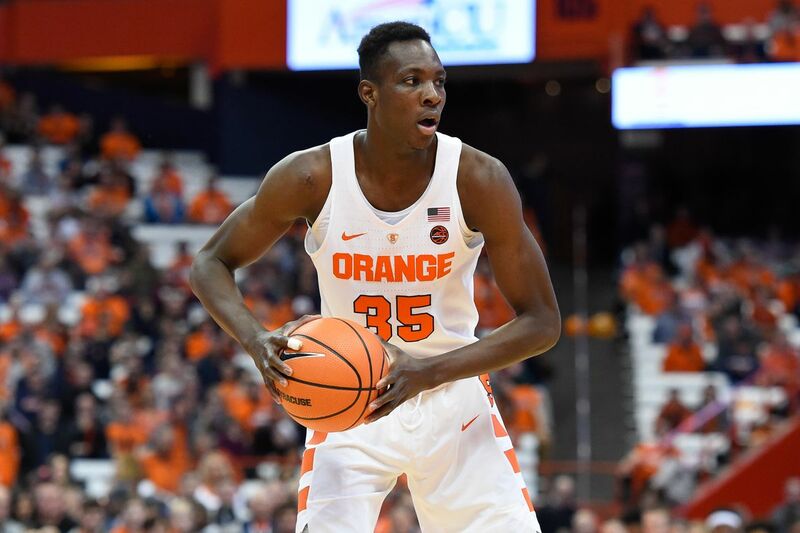 His knees felt good for the Pittsburgh game in mid January, and Sidibe displayed his potential by coming off the bench and leading the Orange to victory with 18 points, 16 rebounds and 3 blocked shots. However, most the rest of his season was playing when Chukwu was in foul trouble, and the Orange needed a replacement. Chukwu was in foul trouble in the ACC tournametn against North Carolina, so Sidibe played 22 minutes that day. He would pull down ten rebounds before fouling out. Sidibe would struggle his sophomore year on both ends of the court, resulting in less playing time. He became more foul prone which also contributed to less time on the court.